Welcome to Dynamic Engineered Systems. DES is a manufacturers' representative for power, commercial and industrial heat transfer products. We provide sales and service throughout Southern California including Los Angeles, Riverside, Orange, Kern, San Bernardino, San Diego and Santa Barbara Counties. We assist building owners, mechanical engineers and contractors with the design and delivery of mechanical HVAC equipment. We are dedicated to providing technical support, high quality equipment and excellent customer service to our customers. 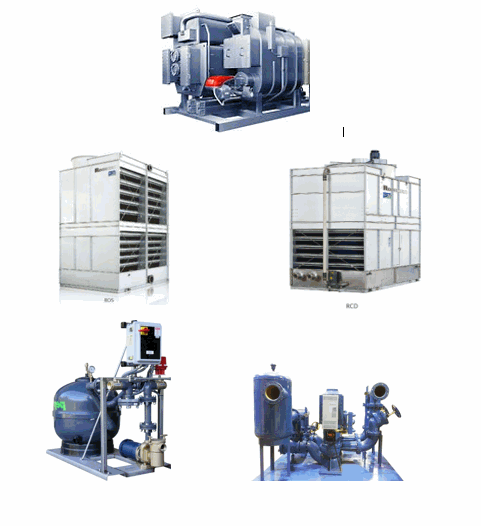 At the AHR Expo in Las Vegas NV Rosemex Manufacturing introduced the Rosemex Cooling Towers and Fluid Coolers. The Rosemex units are CTI Certified products and will be represented by Dynamic Engineered Systems, Inc. in the Southern CA Market. Rosemex has been manufacturing these units for over 15 years and will soon be distributing them in the Western United States.